Beautiful wooded campsites, biking around the campsite, rocky beach exploration, shellfish and boating options, close to Seattle. 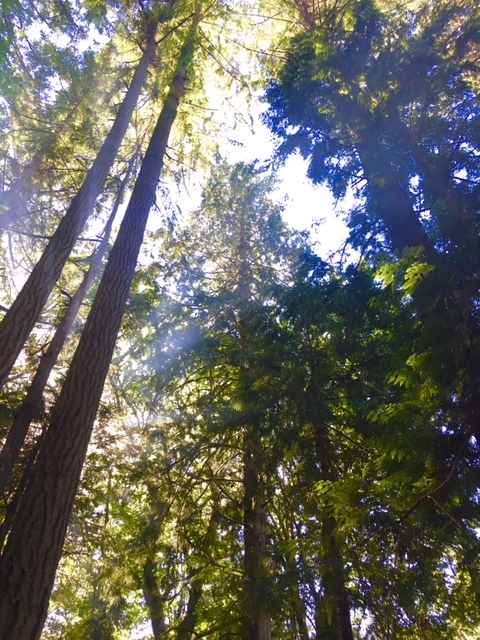 Our family took a quick father's day trip out to Penrose point state park to get a bit of forest bathing in and relax after a crazy busy Spring prepping trailers and living the city life. I wanted to try out the Campster before I rented it out to see if it has any quirks! Penrose point is a great campsite for families as it is about 90 minutes away from Seattle, has shallow water and lots of shells and sand dollars to discover, trees and spacious campsites provide shade and there are stores within 15 minutes for ice and other necessities. The Campster was great for my family because we have a 5 year old and were able to sleep in the big kingsized bed all together. It towed great, although it does have a heavy tongue weight for a small trailer. This helps it to be a very stable towing trailer but requires a vehicle that can handle it. The kitchen storage was nice to be able to put groceries away and not have them strewn around the campsite. The campsite was #19 and was beautiful with large trees, nice tent sites and a fire pit. The beach and boat docks were about a 10 minute walk through the campground. There was a day use area that was a 3 minute drive to get to that had areas for clamming and fishing during times when those were available. I have never seen so many sand dollars in my life. There were hundreds of them! Lake Wenatchee: Kids and new campers welcome! "We headed over the mountains to Leavenworth and the Tierra Learning center for the wedding of two of our favorite people."